Double side matte photo paper, the most common business card paper, before the majority of customers choose this paper, but now there are many options . 1.Pearl- shine double side photo paper, there are many colors, the paper itself with a flash effect, the color is more beautiful. fast drying, good ink absorption, printing bright.the most common is the gold and silver. 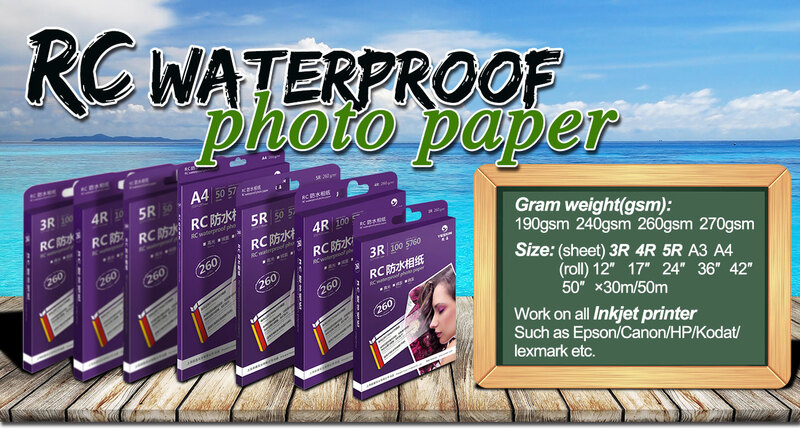 2.RC photo paper, a small number of customers choose this paper, this paper completely waterproof, can be placed in the water for several hours without damage to the image itself, but the price is high. 3.PVC card, this material generally do membership cards, special circumstances are also used to do business cards. All these paper are suitable to all kinds of inkjet printer, So the application is very wild.